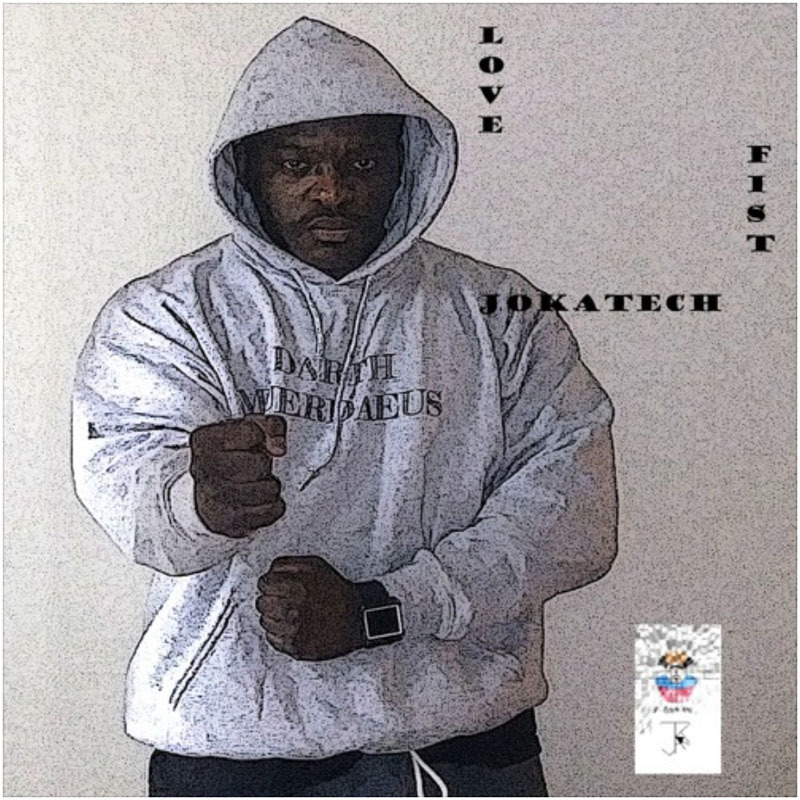 Jokatech – Love Fist – Album Review | The Ark of Music – The best music in the world…you never knew existed. The Bronx, New York’s very own, Jokatech (a.k.a., Jason K. Addae) is currently nearing the midpoint of his second decade as a recording artist (13 years to be exact). As a jazz musician and hip-hop artist, he’s now recorded an astounding 19 albums. Now, the rhyme-sayer from The Big Apple gives us #19: Love Fist. Opening with the pure jazzy trumpet and funky rhythm of, Chompa Strut, this short little intro does what an intro track is supposed to do…it creates a desire for more. Black Boy gave me a nostalgic childhood memory of Vince Guaraldi’s musical work from The Peanuts cartoons. At just over nine minutes, Addae is afforded plenty of time to get comfortable, and fully express. It’s a great track to have on in the background while doing…whatever. A bit of old-school scratching takes the album’s tight, jazzy theme and gives it a soft-right turn toward a touch of hip-hop in the album’s title track, Love Fist—a symbol for a strong and focused brand of love. Inherently positive. Creative. Spiritually wholesome and inclusive. Jazz, jazz, and more jazz. Jokatech’s (a.k.a., Jason K. Addae’s) 19th studio album, Love Fist, is first and foremost a jazz album. That said, when Addae does take to the pen, his lyrics are intelligent and articulate. He’s clearly a deep thinker whose primary interest is wholeness, togetherness, personal responsibility, and ultimately—peace. The album has a softness to it. This context of the word “soft” is absolutely not to be confused with “weak”; for this softness elicits strength and confidence—two most powerful and rare qualities—particularly in today’s anxious and edgy culture. All in all, the album shows a growth in Addae which is uncommon and special. 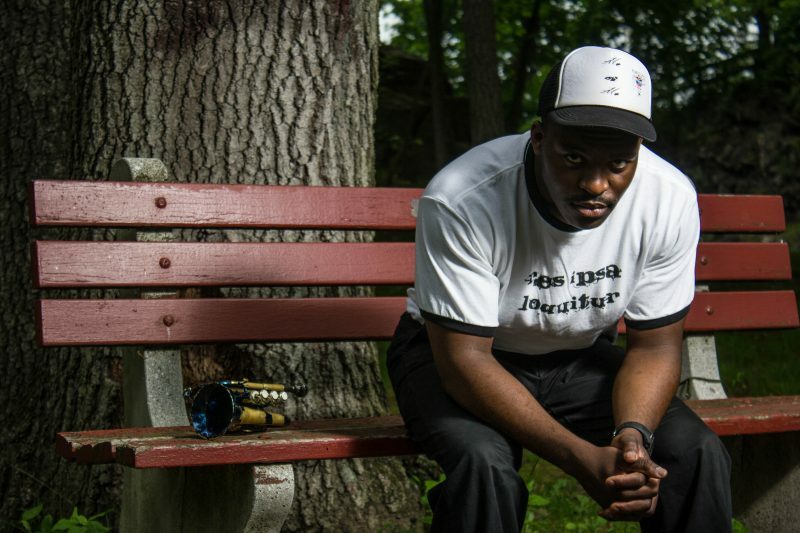 BELOW: Listen to Jokatech’s latest album, Love Fist, and connect with his website and social media platforms. Please support Jokatech by visiting him online, and playing, downloading, and/or purchasing his music! And, as always, thank you for supporting real music!